September 20, 2016 47 Comments This post may contain affiliate links. Hi dear friends! 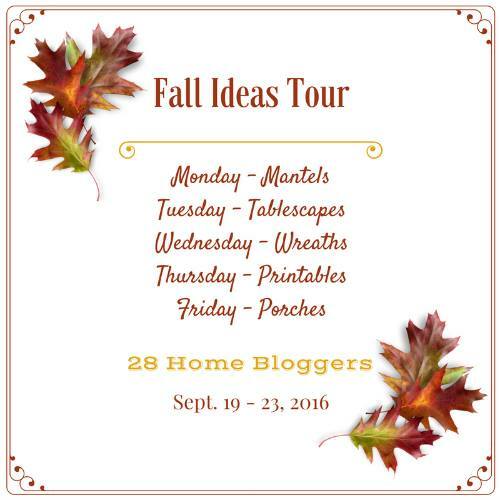 Today I have a fun fall tour for you…complete with mantels, wreaths, tablescapes, free printables and porches! It rolls out all week. 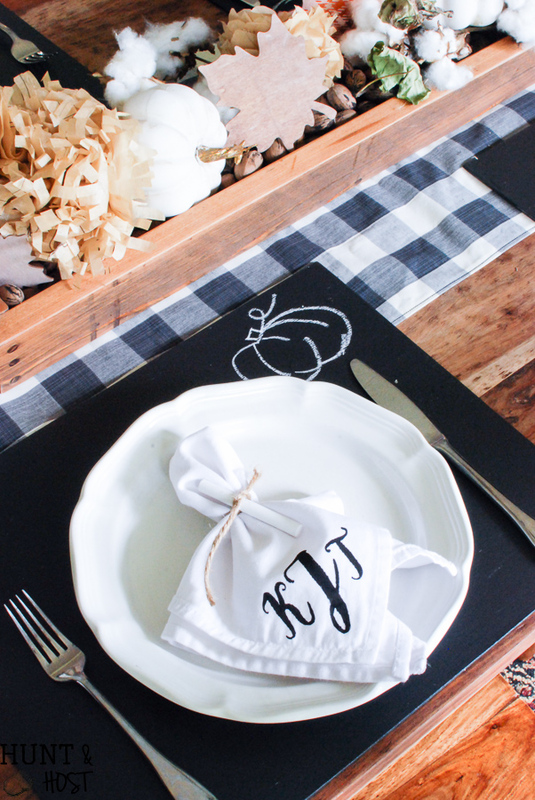 Not to mention my DIY chalkboard placemats. When I was young teachers would send kids outside to bang chalkboard erasers as a form of punishment. I never really got how that was punishment! Everything about a chalkboard was mesmerizing to me. Getting to write your name or an answer on the big smooth blank green canvas seemed like a dream come true. It was an elusive treat to write on a chalkboard with authority like a teacher did. I don’t think I’m alone in my admiration of the classic teaching tool. That feeling tingles in the depths of our school girl memories and surfaces when the smell of fresh crayons hit the air. Chalkboards only showed up at school, so for the non-teachers of the world, our dream of dulling chalk sticks into nubs died when grade school ended. 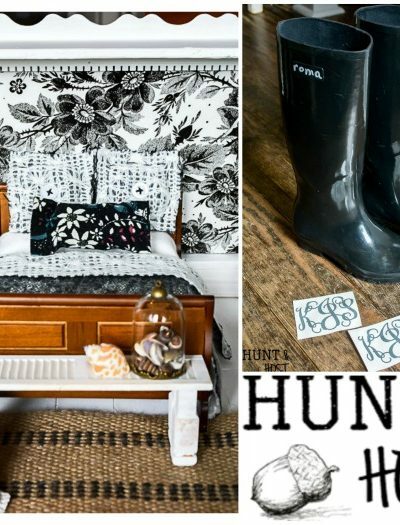 This old time feeling has to be part of the reason chalkboards have made such a strong impact on the decorating world. The only thing better than drawing on a chalkboard is drawing on the table. My little project today marries those two childhood joys! 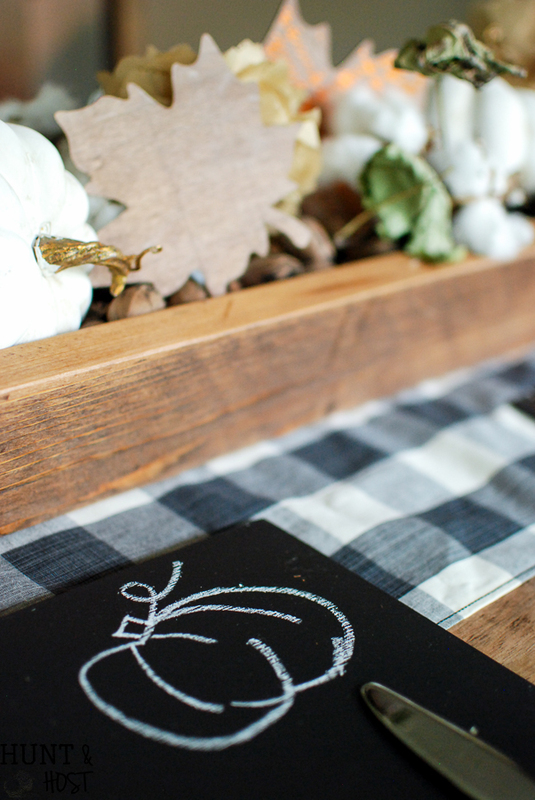 Chalkboard placemats. I mean really, it doesn’t get much better than that! 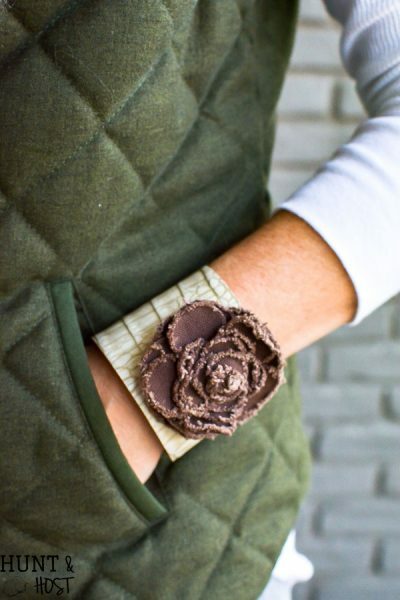 You can dress them up or style them down, versatile and fun for the young and old alike. 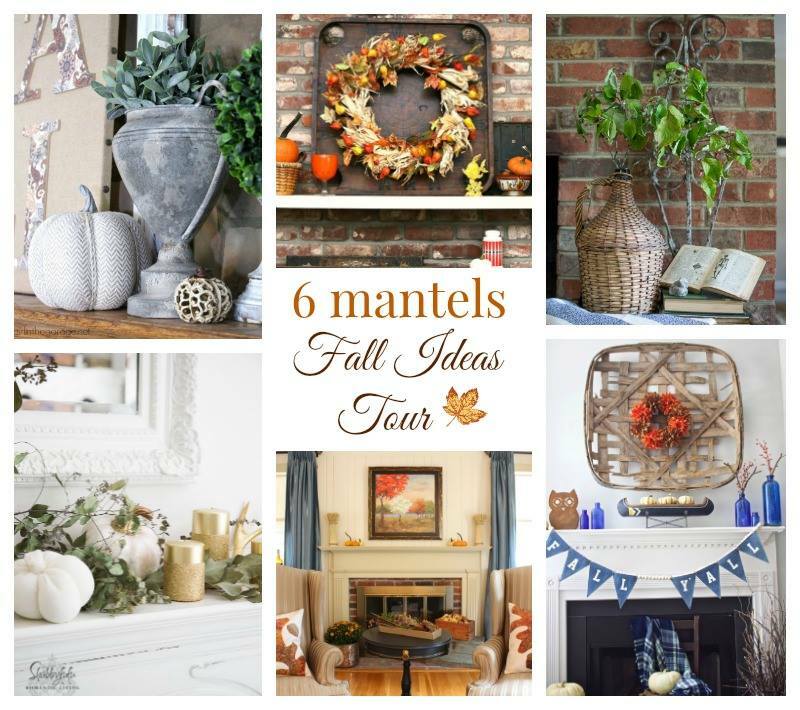 It’s one of my favorite projects to date, not to mention it’s part of a fall tour filled with fabulous inspiration for your home. 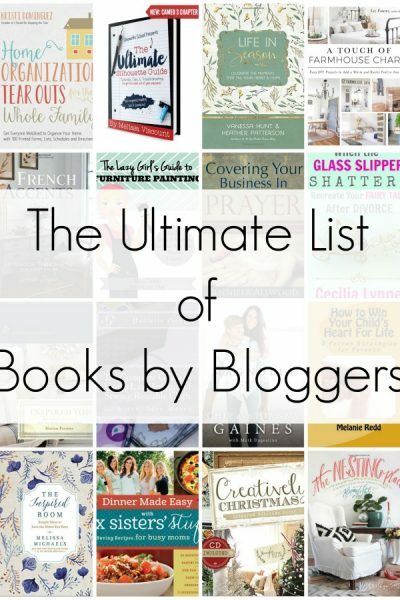 Please don’t leave without visiting some of the other blogs listed at the bottom of this post…the party lasts all week! Start by cutting down the hardboard into 14″ X 17.5″ placemats. You can get six placemats out of one sheet. 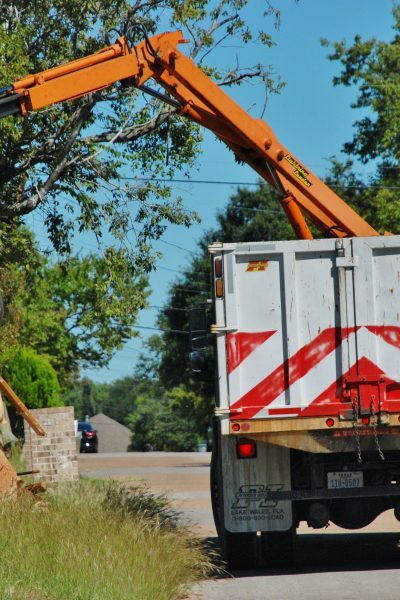 Use extreme caution and safety equipment when working with a table saw! Sand the edges. The backing of the hard board sheds, so try to get the outer edges as clean and smooth as possible. Layout mats on a covered work space and paint with black latex or acrylic paint. Two coats will be needed. Allow to dry completely. Paint a topcoat with the clear chalkboard topcoat (I used a sponge brush) and allow to dry. Season the board by rubbing it down with chalk and wiping clean. Decorate with chalk to your heart’s content. There are multiple ways to do a chalkboard finish in addition to the method shared here. Some paints you can paint directly on a smooth surface and they will make a chalkboard finish, there is spray paint available and you can try homemade chalky paint, which I frequently use. None of them wipe clean the same as a good old fashioned chalkboard, but all can easily be wiped down with a slightly damp rag if needed. 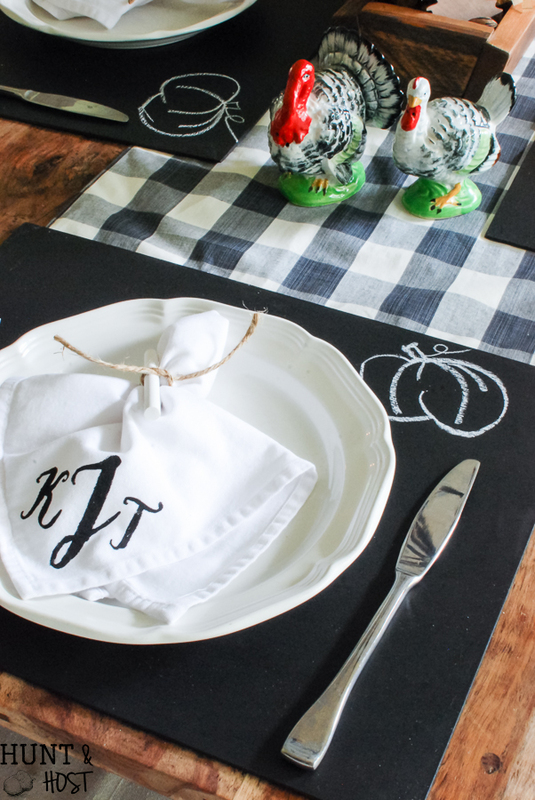 You can use the chalkboard placemats as a name card, draw out different scenes for different season or just let guests be kids again! I hope y’all have fun with this one. My table was inspired by these thrift store turkey salt & pepper shakers I picked up for a song. 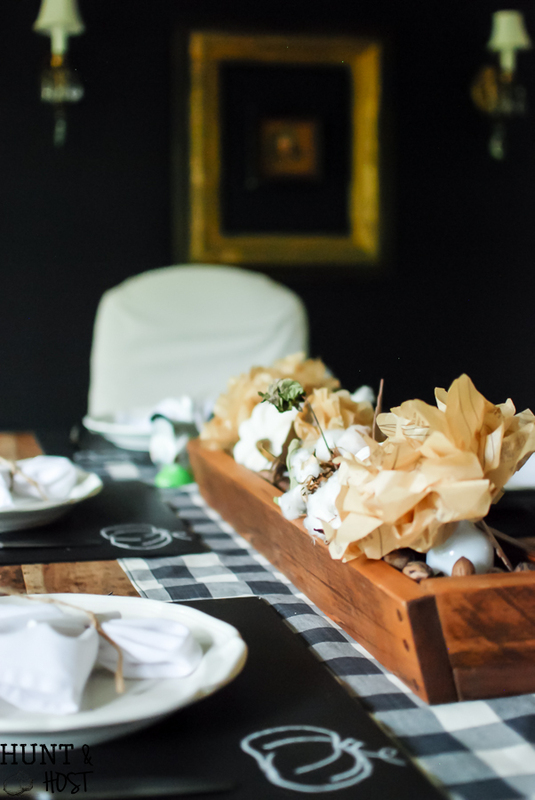 You might want to see the rest of the house…it has a books and pages theme for fall that spilled onto the dining table with flowers made from vintage sewing patterns! Come back soon and I will show you how I made the precious monogramed napkins you see at our table! I’d love you even more if you’d share this project with your friends! Didn’t you just want to get up there and write…in cursive! They don’t even teach that anymore! I am a teacher and I still like writing on the chalkboard although we don’t use them much anymore! 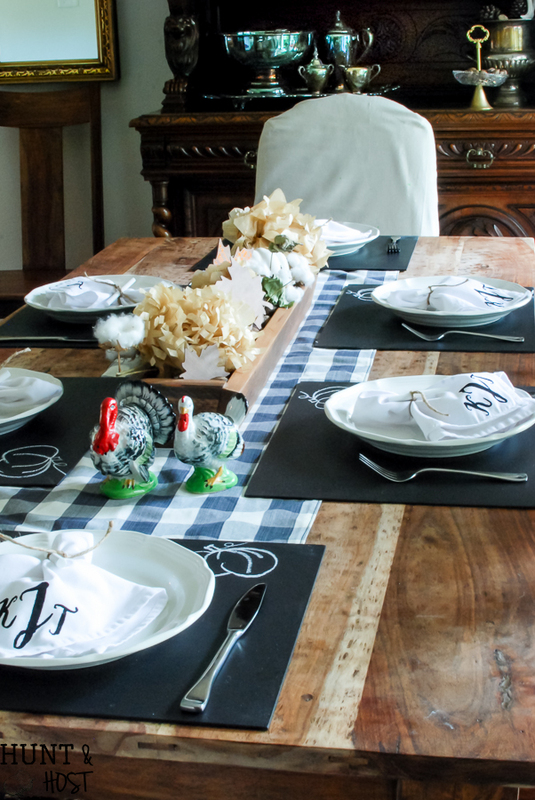 I love your chalkboard placemats and they are going to be perfect to use for entertaining year-round. And if you have young guests, drawing on the placemat will keep them busy while the adults talk. Beautiful table! What a cute idea. I love those salt and pepper shakers too! This is such a great idea! I may do this for Thanksgiving! 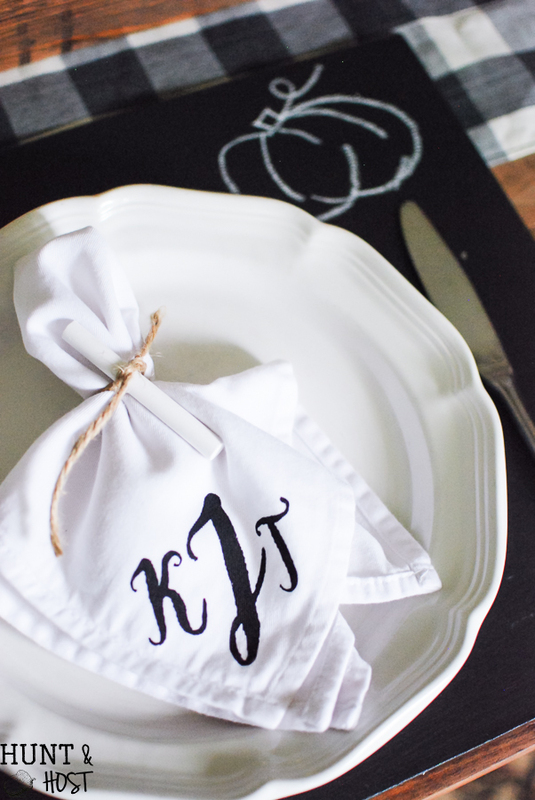 The contrast of your DIY monogrammed napkins with the chalkboard placemat is perfection! Thanks Doreen, I am loving the napkins, they were so easy to make! Thanks Susie, I am really liking black and white right now, it’s always a favorite of mine, but esp right now! These are so fun! The kids would love them at the kids table this Thanksgiving! Thanks for sharing! Yes! It would definitely help them last longer at the table for a big meal!!! 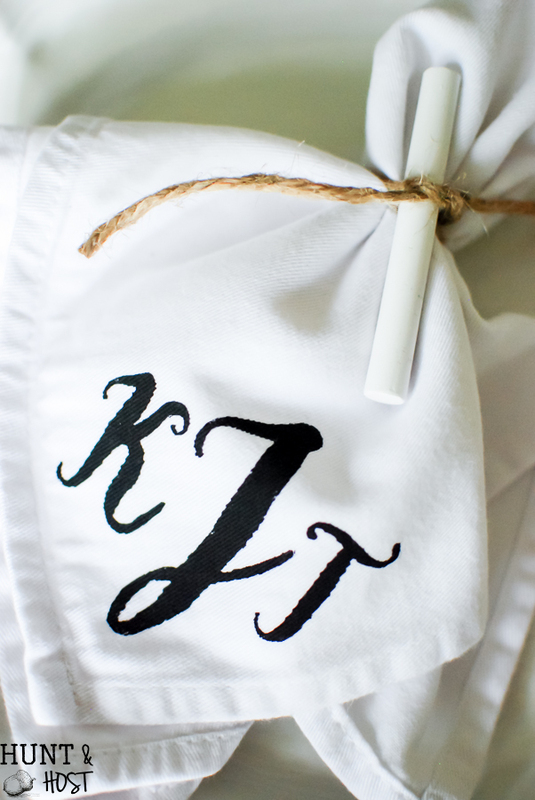 I LOVE this fun idea as well as the adorable way you tied chalked around each monogrammed napkin! Dinner around your table this Fall looks like a whole lot of fun. A fresh stick of chalk is almost better than a new crayon 🙂 thanks! I think the chalkboard placemats are adorable. However, the link in your email today was for making barn wood but instead took me to this page. Can you send me the link on making barnwood? 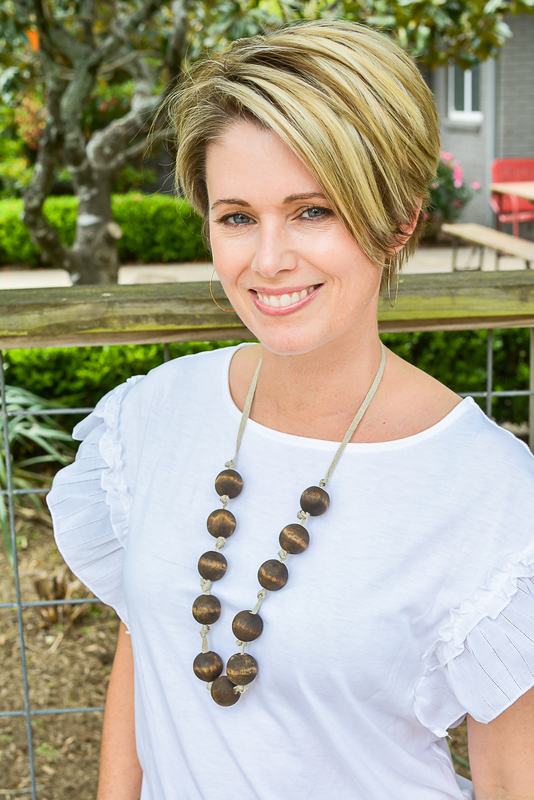 I love barnwood too but it is very pricey to buy authentic barnwood. 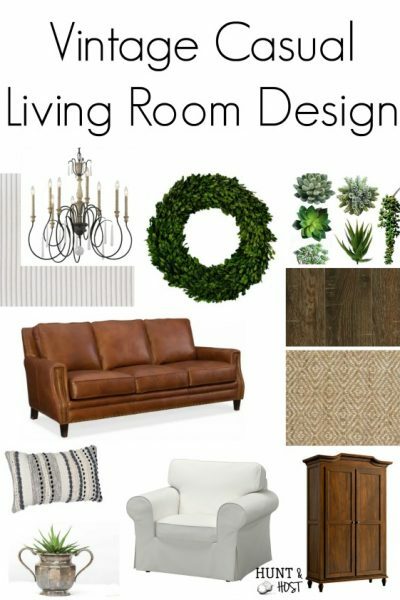 I want an entire wall in my living room clad in barnwood. Chalkboard place mats. What a great idea!! Thank you – they have been fun! Thank you so much! It has been a great tour!!! Hi Kim, your place mats are so cute and clever! 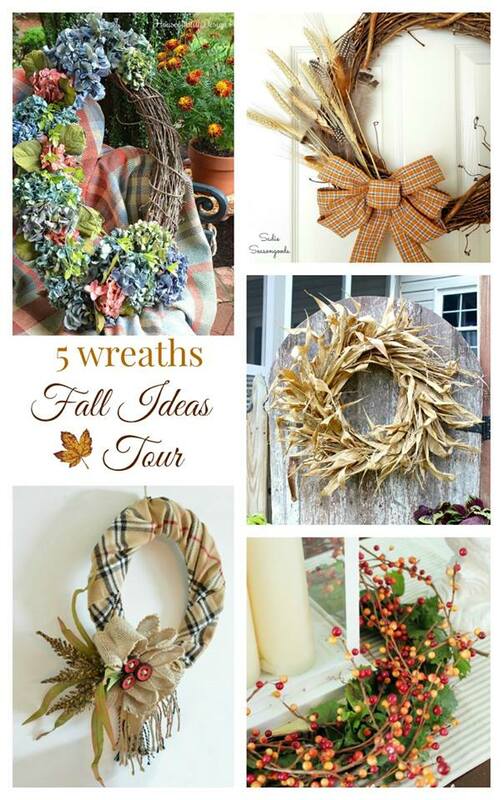 I love that you could use these for all different seasons, but they do look great for Fall! I think they will be a new staple around here, thanks so much! 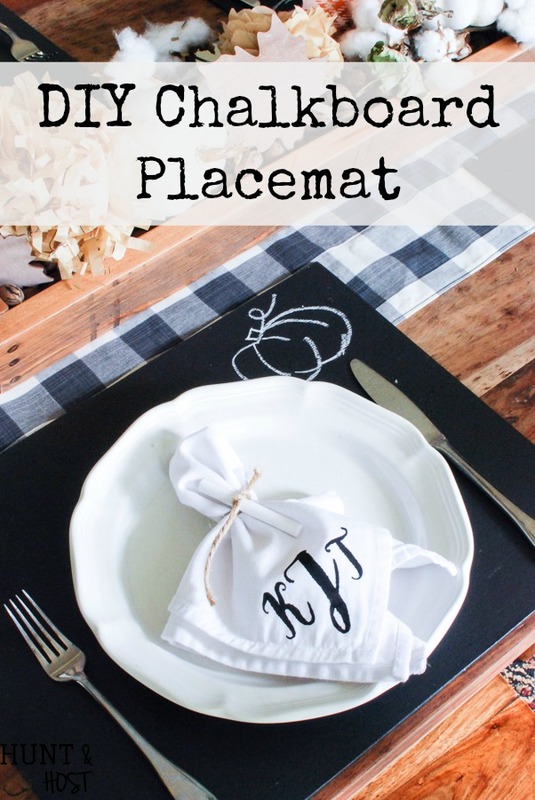 What a great idea… Kiddos would have so much fun with those chalkboard placemats! 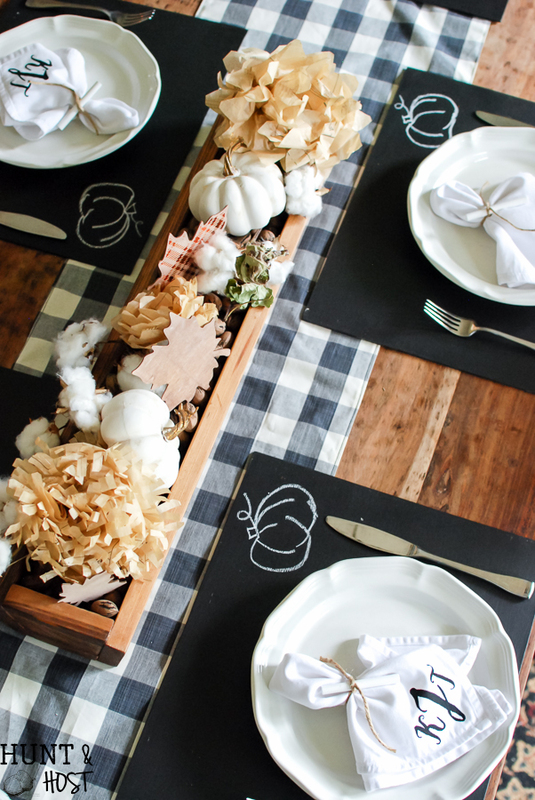 What an absolutely charming black and white table, and I adore the chalk added to the napkins. GREAT table. Thanks so much, B&W has my heart this year! Stop the cuteness and creativity!!! This is a fantastic idea. We too love chalkboards in practically any form and this is just perfection! thanks for sharing! Thanks friends – so glad you like it! 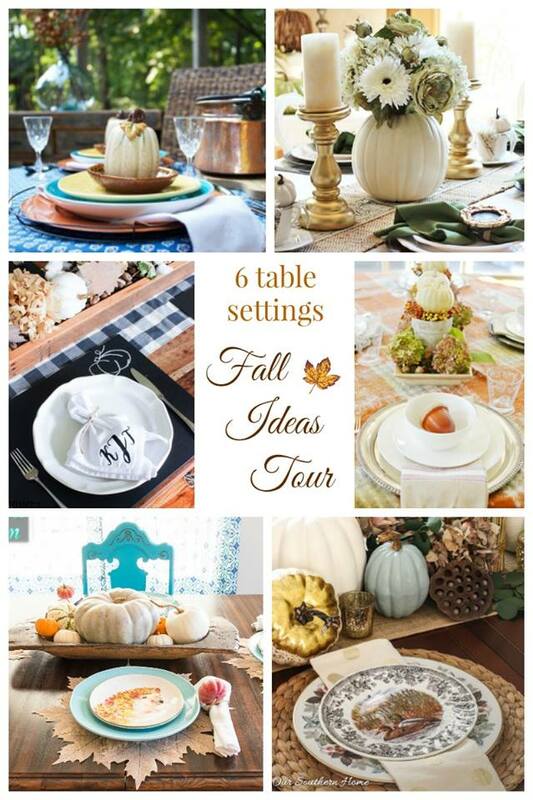 I am finding so many great ideas for placemats and I can’t wait to try these! Aren’t placemats a fun and easy way to change up the table…happy making! Really fantastic, almost missed that piece of chalk as I was loving those napkins! Love how modern and clean the placemat is and yet it totally works with your home! Thanks so much for sharing on craft schooling Sunday! We have LOVED the placemats!!! This is such a fun idea! Everyone at the table could show off their mad drawing skills 😉 Thanks for sharing with us at Family Joy Blog link up and hope to see you again! No kidding, we use them all the time and they don’t really grow old! perfect for every holiday! I love, love , love your table! 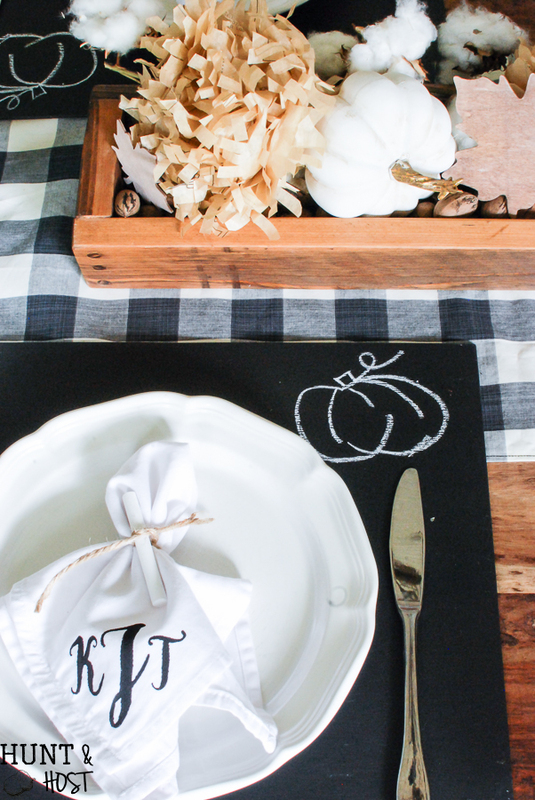 Those chalkboard placemats are amazing! Thank you! They are a hit at our house! What a clever idea! I just love your table setting. Pinned and sharing. Thanks so much for linking up at Family Joy Blog Link-Up Party last week. I hope you will join us again starting Sunday at 12 EST. I have a question, on the DIY page where I found your placemats it says “Simply cut cardboard into a mat-sized rectangle, then apply a few coats of chalkboard paint” but your instruction says “4×8 hardboard panel”. Is it possible to use heavy cardboard for non permanent boards? you could use a heavy cardboard, anything with a smooth surface really. The only hesitation I have with cardboard is it tends to warp when you paint it, if you have time to bend it back than that would be a great cost saving alternative! good thinking!! !